Horizon Village Realty / Horizon Village Appraisal is a small real estate brokerage and appraisal firm located in Henderson Nevada. 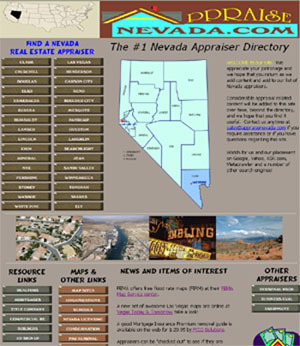 We have been doing appraisal work in Nevada since 1997. We are located in the City of Henderson, Nevada in the southeast part of metro Las Vegas. We have been licensed as agents and appraisers in Las Vegas since 1997, or for about 17 years. The owner has been licensed as a broker since 1975 and as an appraiser since before licensing began in 1991. (We had license # 121 in Michigan and # 345 in Wisconsin. Our commercial appraisals are high quality, narrative reports completed promptly with reasonable fees. We appraise; Vacant Land, Industrial, Office, Retail, Land and other property types. 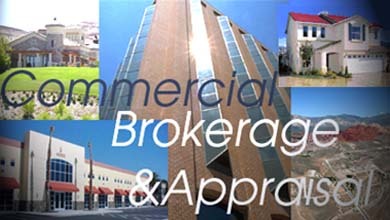 We have been been a commercial appraiser since the 1980s and a commercial broker since the 1970s. many pages of appraisal and brokerage information.